While we’ve been trying to beam the idea of a solar-embedded iPhone (s aapl) into Steve Job’s head (so far successfully), a design company called Frostfire is helping out. 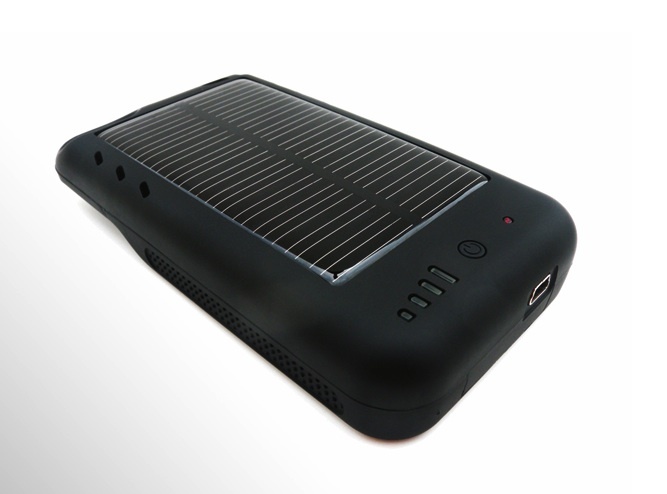 The company has created an iPhone 4 case that has a rechargeable lithium-ion battery at the base with a small solar panel embedded on it that can extend the battery life of your iPhone 4 while on the go. Twenty minutes of direct sunlight shining on the so-called “Mooncharge” case will buy you an extra 50 minutes on standby mode, or 5 minutes of chatting, so, yeah, not a whole lot. The battery can be charged via a USB cord, as well, and fully charged, will provide the user with 315 hours on standby or 5 extra hours of talk time. The case costs $70. Speculation about Apple adding some kind of solar power feature to its iDevices has popped up periodically over the past several years. In 2008, Apple reportedly filed a patent application that indicated the company was looking at ways to embed solar panels behind the LCD screens of mobile gadgets like iPods, iPhones and laptops. Embedding solar in gadgets could be valuable because, as devices get more complex and power-hungry, solar could provide a way to extend the device’s battery life. Our current battery technology is certainly not keeping pace with gadgets’ growing power demands. There are plenty external devices that do this and then your phone stays small most of the time. Ideally you attach the solar batter to the outside of your bag and then charge your phone off that.